When using a XMLType table/column in Oracle XML DB to store structured data you are able to perform transformations with the XMLTRANSFORM command. 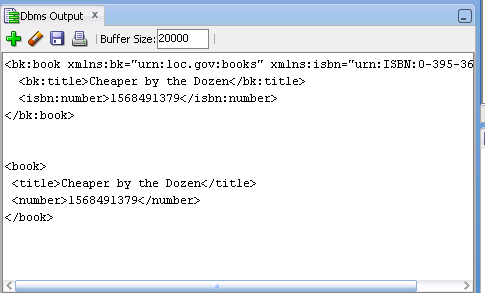 We have a requirement to remove all namespaces for the inserted XML content and decided to implement this mechanism in the database. When enabling the DBMS_OUTPUT lines we are able to validate the result of the trigger.